Emirates, hit hard by President Trump's ban on using electronics on U.S.-bound flights, is cutting its schedule to five American cities because of "significant deterioration" in bookings, the airline said. The cutbacks affect flights to Fort Lauderdale, Orlando, Boston, Seattle, and Los Angeles. The surprise March 25 order by the Trump Administration applied to non-stop flights to the U.S. from Dubai and other Middle Eastern points. It was said to be an anti-terrorism measure, but critics said it was part of Trump's effort to crack down on immigration. The order banned laptops, smartphones, e-readers, and other electronic devices on flights from the Middle East, in effect transporting business travelers back to the bad old days when there was nothing to do in flight but read and watch whatever entertainment the airline offers. 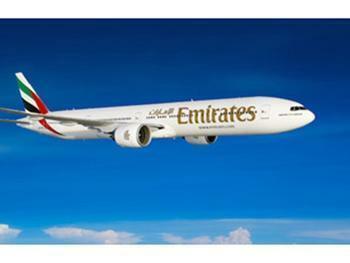 Emirates responded by offering to loan Microsoft Surface tablets to travelers in First and Business classes. It offered all passengers a "laptop and tablet handling service" that let them use their devices until they actually boarded the aircraft and returned them immediately upon landing. In April, TripAdvisor had named Emirates the world's overall best airline. It also took honors for Best First Class and Best Economy Class. The ban was limited to flights departing 10 airports from the Middle East and North Africa and was said to be based on security concerns. Officials told The Washington Post that intelligence continues to pick up on terrorist interest in targeting commercial aviation. The concern is that electronic devices can be modified to contain explosives. Besides the ban on electronics, Emirates and other international carriers have been hampered by Trump's executive order blocking the entry of nationals from several Muslim-majority countries. The orders were blocked by U.S. courts but only after days of chaotic scenes at airports around the world. Emirates said the end result is that there is less interest in traveling to the U.S.
“The recent actions taken by the U.S. government relating to the issuance of entry visas, heightened security vetting and restrictions on electronic devices in aircraft cabins have had a direct impact on consumer interest and demand for air travel into the U.S.,” the airline said, according to the Wall Street Journal.